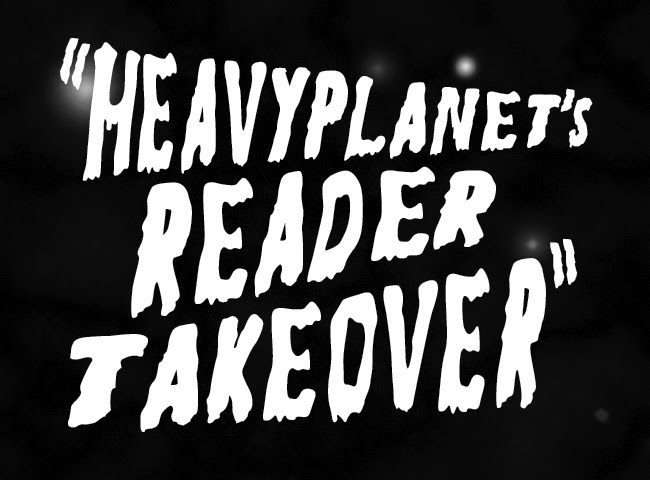 Welcome to the second edition of Heavy Planet's Reader Takeover. The amount of submissions have been a bit underwhelming so far (only two), but since another reader took some time to send in his bands we decided to give it another go. This round of bands comes from Daniel. He has chosen to feature some bands from his home state of Colorado as well as a bonus band from Germany. If you are interested in submitting some bands for this feature please click here. Now, on with the show! ABRAMS – riff heavy rock. Black Lamb – singer Brian Hagman is one of the most dynamic frontmen ever. Cloud Catcher – 70’s psychedelic heavy rock. The Worth – straight up stoner rock. Giant Sleep – proggy psychedelic desert stoner rock. Thanks for checking out Daniel's Reader Takeover selections.